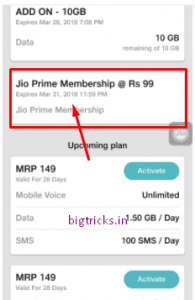 Reliance Jio Prime Membership Expiring on 31st March, What Next? 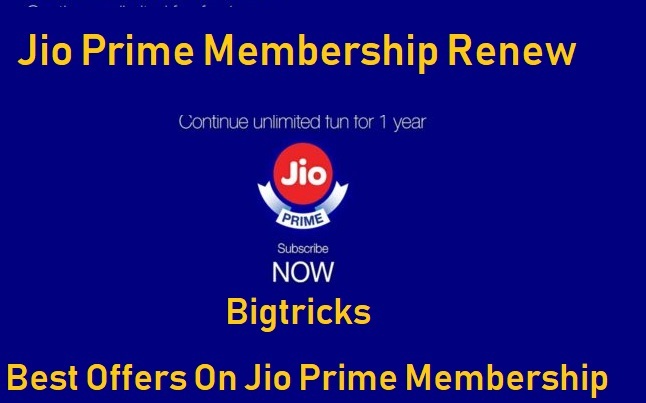 Jio Prime Membership Renew Jio prime Membership Expiry: Hey Guys, Did You Remember Reliance Jio Prime Membership will Expire on 31st March For Many users who availed Prime membership in Fab 2017 or March 2017. You have to Renew Jio Prime membership in order to continue the service even if you have recharged with any of Jio Unlimited plan but Jio has Not Yet Confirmed the Jio Prime membership Plans yet. You Can Check Your Current Jio Prime Membership Expiry Date using MyJio App, Website under Plans Section. How to Check Your Jio Prime Membership Expiry Date? 1.Download MyJio App or Open The MyJio App if You already have. 2.Now Go to MyPlans from Three Dots and scroll to last. 3.You will See The Jio Prime Membership details here. The information regarding This is not yet released by Jio and it is expected that Jio Will Announce either New Plans or Extend the Current Jio Prime Plan validity but the Most Probably Jio Will Change the Price of its Data & Calling Plans.So it’s advisable to not to recharge your Jio Number until you get Next Announcement from Jio. 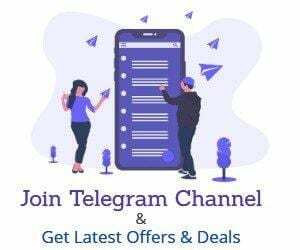 Next Announcement of Jio is Expected in Last Week of March So till now You can continue with the current plan and we will update you once we will get an Update from JIO also We will Post The Best offers For Your Jio Number to Recharge.